If you’ve been following along with me this week, I’m showcasing the versatility of our Kraft and Corrugated Cardstock. 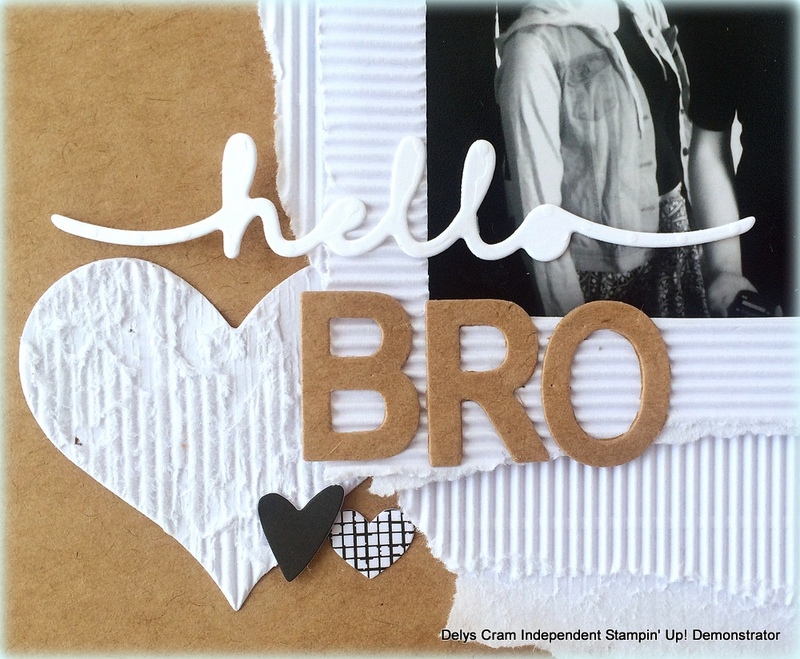 I love to scrapbook with Kraft ..from a teaching aspect, like the Basic Black and whisper white, you have 12 sheets pack of Kraft, it is acid and lignin free and it goes with most photos! Here’s my Layout to show you today! 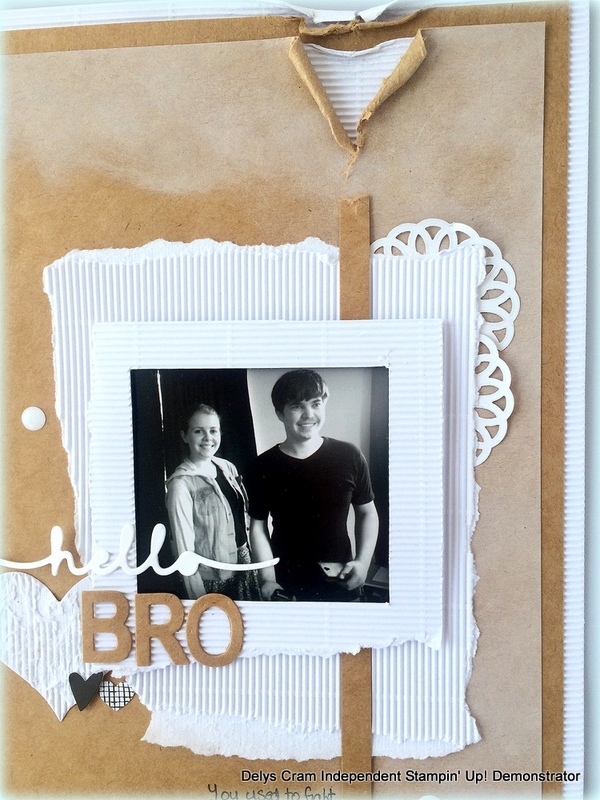 ‘Hello Bro’ is something us New Zealanders say…lots of us shorten it down even further to ‘hey Bro!’ I was determined to use my new thinlit dies (Greeting Thinlits 138275) on this Layout (LO) so ‘hello’ it was! 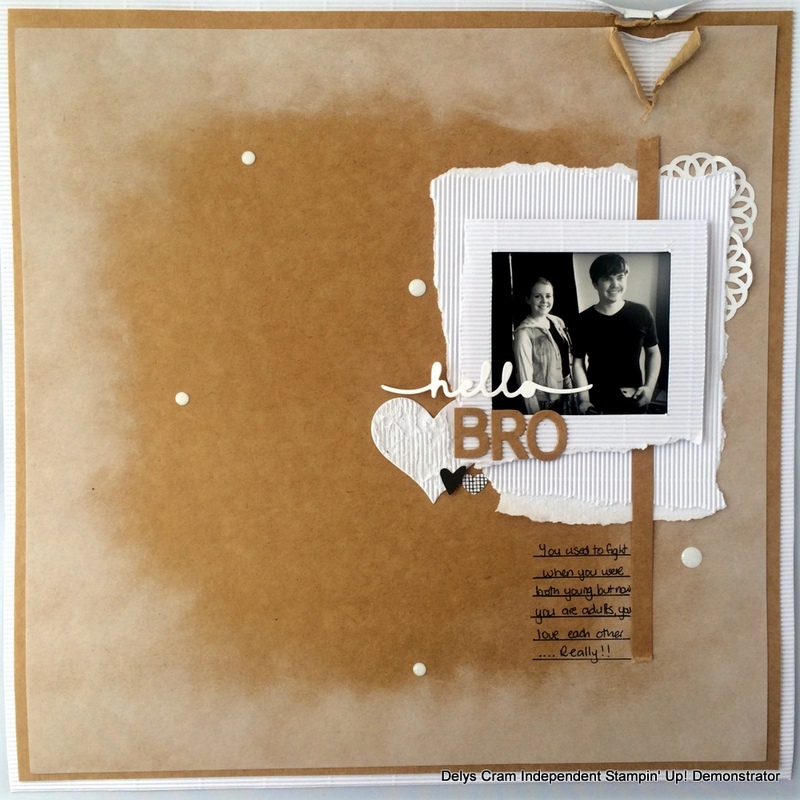 Several layers to this page but I cut out the centre of the White Corrugated Cardstock (CS) and one of the Kraft CS. I sponged with Whisper White craft ink around the outside of the Kraft centrepiece. This was to give the focus to the photo, the tearing up the top right hand corner, coming down to the photo, for the same reason. 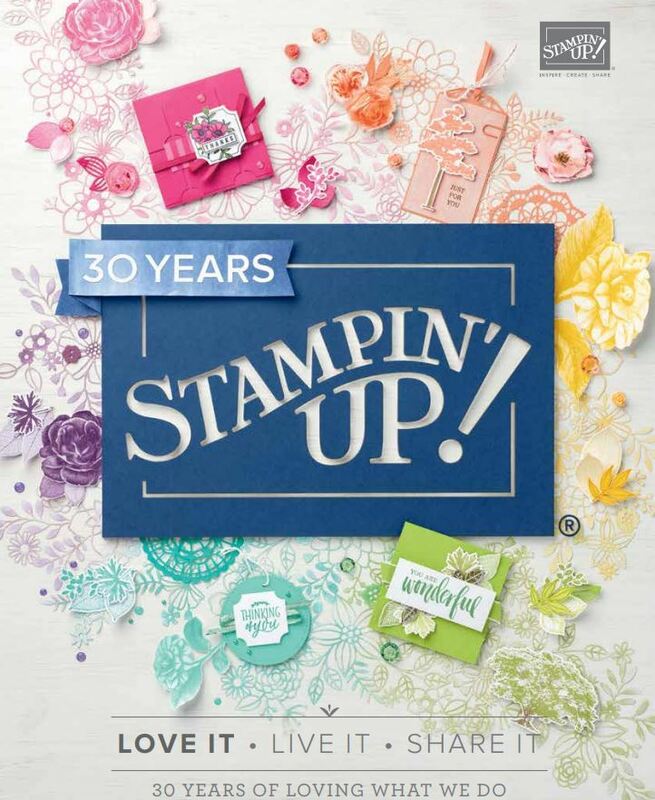 The little hearts are from Moments Like These PL Collection but could easily be punched out using the owl punch or confetti hearts border punch. I used White Perfect Accents (138416) and 2 small Metallic Foil Doilies (turned over) (138392). Finally, my writing is a bit dismal but I’m determined to use it on my LO’s where I can ..messy handwriting and all! So this is my 10th day blogging every day..go me!